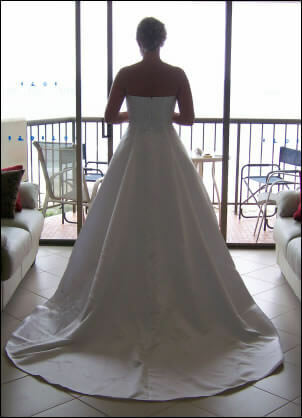 Stunning strapless one piece wedding gown with train which ties up. 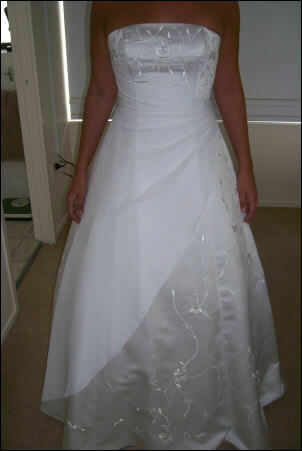 Dress has been professionally cleaned and is in exceptional condition. Includes hoop.